Melissa Jenkins is a parenting expert who teaches busy moms intentional strategies so they can become parenting experts in their own homes. She is a teacher with a Master’s Degree in Education and has worked as a Director of Education for a large psychiatric hospital and taught child development classes at the University level. As a public speaker, Melissa Jenkins is funny, warm, and insightful, encouraging parents to take the plunge and do the work necessary to get amazing results. REFRESH the page right after it starts to watch the LIVE show! Tune in to hear and learn more about GRATITUDE with us as we share with you! 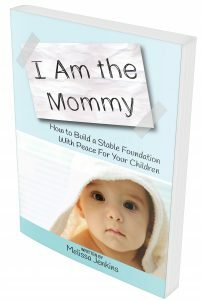 Get Melissa’s Book “I am the Mommy” FREE for a LIMITED time! She has always been into the health and fitness, eating clean, as well as working out. She loves assisting others with changing their lifestyle, just a little at a time to benefit themselves. Grateful for the friends and family I have and that have supported me through my last couple years…. but to mention one, her good friend Paula who’s been along with her on this journey and meeting of wonderful people and helping her to help others. She gives back to the community by being a scout leader with the 57th scouts and teaches young the skills they’ll need in the real world. She loves being surrounded by wonderful people and never takes that for granted.